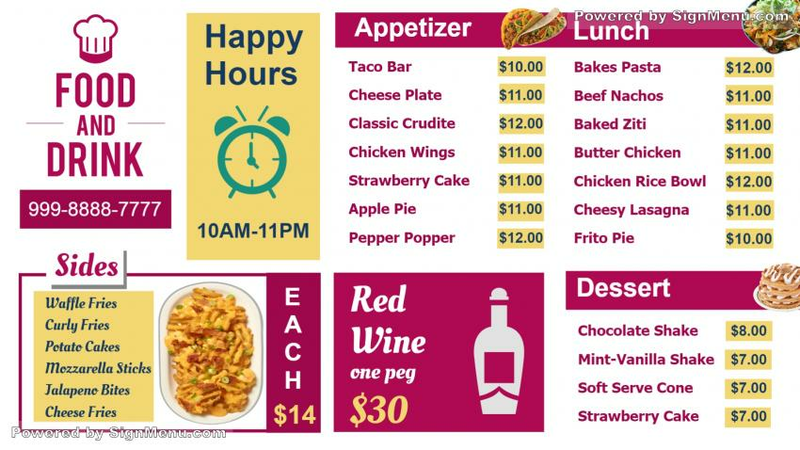 This template is best showcased on a digital menu board inside as well as at the entrance of the restaurant. Given it's wide range of offerings it would do well to have daily specials with effective engagement with customers on tastes and preferences - and feedback. The restaurant can also have mark-up pricing on certain items which have more demand and highlight them on the menu board. This template is ready for download and use.